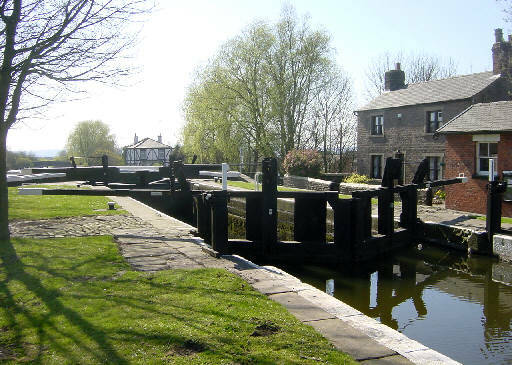 Lack of rainfall over a period of weeks is leading to a shortage of water on the Leeds and Liverpool Canal. This has now resulted in restricted opening hours at several lock flights. Overnight mooring on the flight is only allowed at Rose Bridge, between Locks 77 and 78. Assistance for single handed boaters is available on Thursday mornings at 8:30 am. Contact the Wigan Lock keepers on 01942 405774. • Barrowford Locks (45 to 51). Last passage at 4:30 pm. • Greenberfield Locks (42 to 44). Last passage at 5.00 pm. • Bank Newton Locks (36 to 41). Last passage at 5.00 pm. • Gargrave (Holme Bridge Lock 30). Last passage at 5.00 pm. These lock flights will be padlocked at 6.00 pm. Boaters should make sure they enter the lock flight with sufficient time to get through, noting the last passage start times. Moorings are available at the top and bottom of these flights. The above lock flights are to be CLOSED to navigation from Monday 30th July. This closure is likely to last through August. Entry locks will be made inoperable during this time.